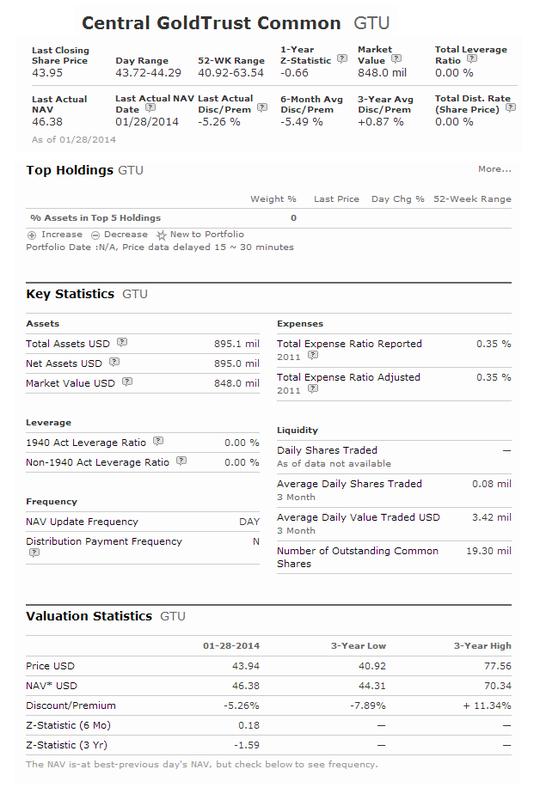 This Aberdeen Chile Fund invests mainly in Chilean equity securities. The fund’s manager is Devan Kaloo since 2009. Its total net assets are $95 million. The annual expense ratio fee is 1.70%. Up to January 12, 2014, it has a year-to-date return of 6.64%. In 2013, it has the YTD return of -21.97%. 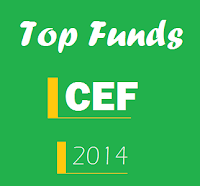 As of January 2013, this top performing closed end fund has 24 holdings. The annual portfolio turnover rate is 8%. The top 5 stocks are Banco Santander-Chile, Empresas Copec SA, Falabella Sociedad Anomina Comercial E I, Enersis SA, and Empresas Cmpc SA. Top 2 sectors are financials and consumer staples. Investing in Gold has been easy for the past 2 years. There is a period of up and down, but the current trend is down. The Central GoldTrust Fund uses its assets to purchase gold bullion. It has total net assets of $877 million. Its annual expense ratio is only 0.36%. There is no yield currently. Morningstar analysts have ranked this best performing closed end fund in 2014 with bronze rating. In 2014, the YTD return is 6.43%. It has returned -4.91% over the past 3 year, and 5.24% over the past 5 year. Ranked with 5 stars rating, PIMCO Municipal Income Fund objective is to provide income exempt from federal income tax. It utilizes its assets to buy investment grade municipal bonds. This tax free municipal bond is managed by Joe Deane since 2001. It has a high yield of 7.56%. In 2014, the YTD return is 5.93%.